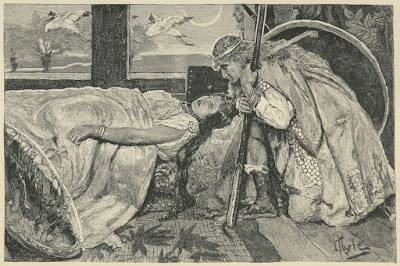 Howard Pyle’s painting “He looked down and sang out, ‘Lower away!’” has never gotten much attention. The tale was inspired by the effects of the Blizzard of 1888 on the ships in and around the Breakwater at Lewes, Delaware. A day or two after the storm, Pyle made the 90-mile trip “down the bay” to look things over and interview several survivors. 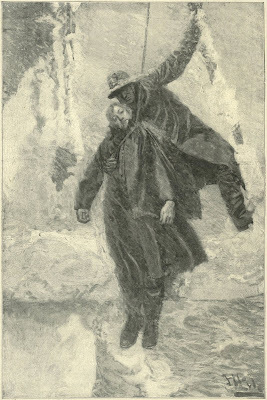 The result was the article “The Great Snow Storm in Lewes Harbor” in Harper’s Weekly for March 31, 1888. But the eye-witness accounts lingered with Pyle, and some ten years later he wrote a “A Life for a Life,” which Scribner’s Magazine accepted for publication probably sometime in late 1898. The painting was returned to Wilmington, but it wasn’t until June 13, 1899, that ever-busy Pyle told Chapin, “I am sending you today the drawing for ‘A Life for a Life’ which I have, I trust, improved by making the storm a little more realistic and powerful.” It’s not clear if Pyle altered the figures, after all, or if enlivening the background had remedied their “posed” look. Charles Scribner’s Sons paid Pyle $300 outright for the three paintings, which were subsequently exhibited in a travelling show of illustrations made for the firm. And in 1915 two of the three - as well as scores of other Pyle originals - were sold to the Wilmington Society of the Fine Arts. But “Lower away!” was not among them. 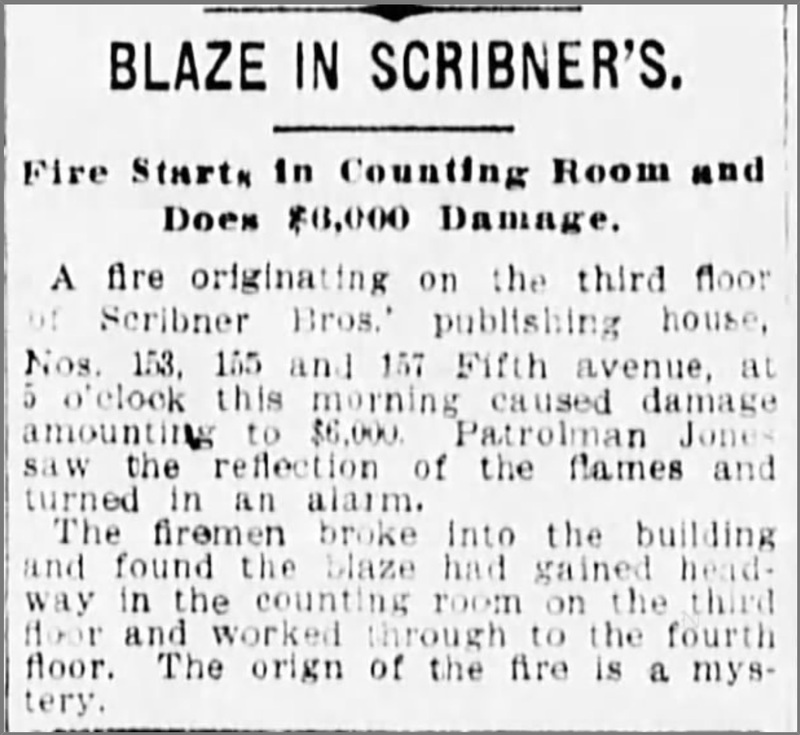 And here is the second reason why it’s gotten so little attention: born out of one disaster, “Lower away!” (like Pyle’s set of pictures for The Story of Siegfried) succumbed to another: the Scribner building fire of July 29, 1908. Howard Pyle sometimes drew a little picture when he signed his books, like in this copy of the 1901 edition of The Wonder Clock which he inscribed on November 5, 1901. It was in 1880, most likely, that 27-year-old Howard Pyle - then living and working at his parents’ house, but soon to be married - painted “St. Valentine’s Day in the Morning”. 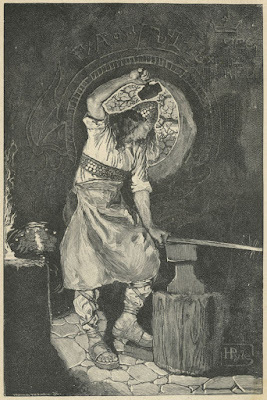 The black-and-white gouache measured about 18 x 15 inches or so, but the picture as engraved by Gustav Kruell was only 12.7 x 9 inches when it appeared in the February 26, 1881, issue of Harper’s Weekly. As far as early Pyles go, the postman, the costuming, and the setting are as strong as usual - even then he was a master at depicting overcast days and the tangle of distant trees. But I confess that I don’t love the woman. Helen “Teri” Card (1903-1971) - the comparatively early champion and dealer of illustration art - didn’t love her, either. And sometime before issuing her landmark, pulse-quickening “Catalog #4” of Pyleana in the early 1960s, Card tore off the offending half of Pyle’s original and tossed it. I wouldn’t have gone that far: the woman’s coy expression doesn’t feel right, but the rest of her is rendered nicely enough. Card sold the surviving “better half” (see below) for $90 to collector Clifton Waller Barrett, and it now lives at the Brandywine River Museum. 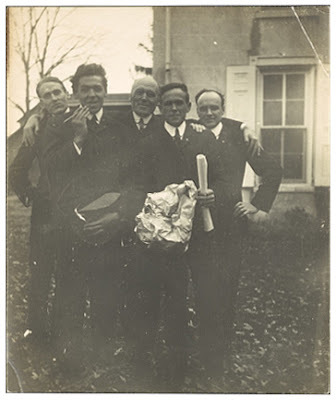 Labels: 1903, Allen Tupper True, Chadds Ford, James Edwin McBurney, N. C. Wyeth, photograph, Samuel Morrow Palmer Jr. In 1909, impresario Frederic Thompson - co-creator of Luna Park on Coney Island and the Hippodrome Theatre in Manhattan - began production on a play to promote his wife, actress Mabel Taliaferro. The star vehicle - called “Springtime” - was set to debut that fall and Thompson garnered early publicity for it by changing his wife’s confusingly pronounced name to the mononymous “Nell” and by signing on the then-well-known Booth Tarkington and Harry Leon Wilson to write the script, Harry Rowe Shelley to compose the score, and Howard Pyle to design the costumes. The action of the drama immediately precedes and follows the battle of New Orleans, and the scenes are laid in or near the plantation of M. de Valette, the head of an old French family, who hates his American neighbors. M. de Valette has arranged a marriage for his daughter, Madeleine, with his cousin, Raoul de Valette, although the two persons most concerned in the matter have never seen each other. Implicitly obedient to her father, Madeleine offers no objection to the parental plans, but when Raoul is introduced to her, she is unable to conceal her disappointment at finding him elderly and unattractive. While preparations are being made for the wedding, Madeleine happens to meet Gilbert Steele, the son of an American planter, who has come to see M. de Valette in regard to a sale of property. These two young people immediately become deeply interested in each other, but Gilbert apparently departs in anger when M. de Valette orders him from the plantation and gives him to understand that his daughter is betrothed. 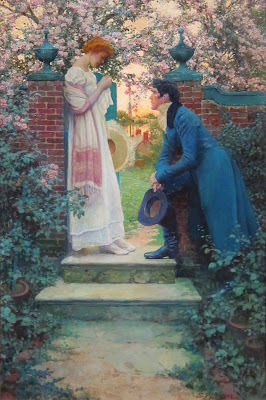 Madeleine, desiring to explain the situation to Gilbert, steals away from the plantation, outside whose precincts she had never before set foot. She meets the young American in the forest, where he has a rendezvous with a band of backwoodsmen who are to support General Jackson in battle on the next morning. 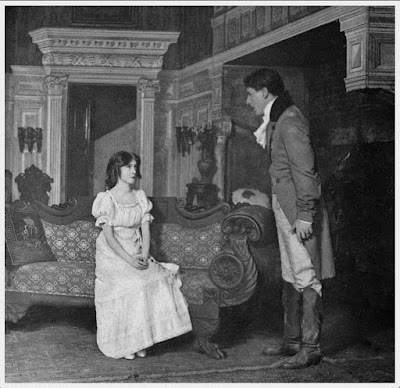 Here Madeleine becomes aware of her love for Gilbert, renounces any intention of marrying Raoul, and insists upon accompanying her lover to the front. However, military discipline necessitates her return home, only to learn there that she has been disgraced in the eyes of her stern father and disowned by him. While dazed by this inexplicable reception to her, she is cruelly shocked by the sudden announcement of Gilbert’s death in battle, and loses her reason. But the report proves to have been erroneous, and through the stimulus of Gilbert’s return and her father’s forgiveness, Madeleine regains her faculties and all ends happily. Interestingly, while Thompson was getting his ducks in a row, Pyle’s “When All the World Was Young” was published in Harper’s Monthly for August 1909 (issued in mid-July). The picture, painted about a year earlier, could practically serve as an illustration for “Springtime” and it may well have inspired Thompson to seek Pyle out. Or... it was pure coincidence and Thompson didn’t see the picture at all but was simply lured by Pyle’s respectability, reputation, and name-recognition. 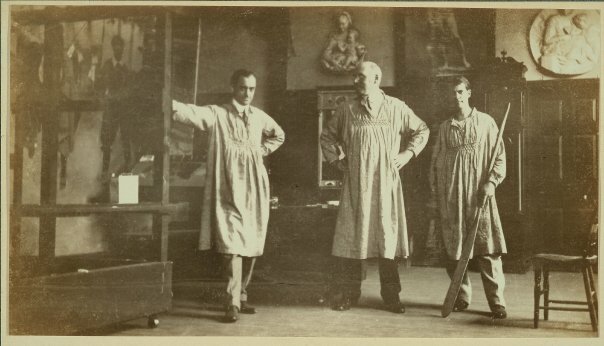 At any rate, soon after meeting with Thompson, Pyle got the blessing of Harper and Brothers (with whom he was under exclusive contract for illustrations) and accepted Thompson’s proposed $2500 fee. 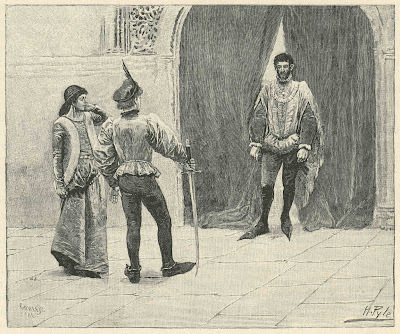 Before long, Pyle’s involvement with the play was being reported in the press. 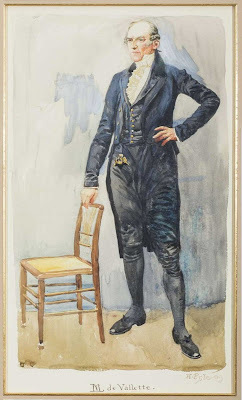 As an acknowledged expert on American historical dress, Pyle must have found his task relatively easy, but, stickler that he was - “I am very anxious to get the costumes as correct as possible,” he said - he wound up seeking more precise information on at least one character’s outfit from author and New Orleans native George Washington Cable. But that’s a tale for another day. 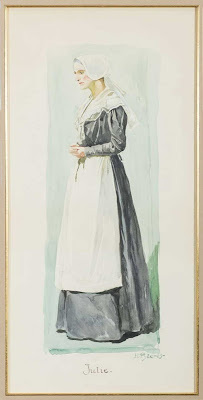 In all, the commission took Pyle three weeks and resulted fourteen (known) watercolors - each measuring upwards of 25 x 18 inches - which would serve not only as guides for the costumes, but as stand-alone pictures. He delivered them by early September and then left town with his wife and two eldest sons on a few-days’ steamboat trip on the Chesapeake Bay and Pocomoke River. How closely Pyle’s designs resembled the finished costumes is hard to say. The few photos of the cast are in black and white and the shapes and sizes of the actors often differed from Pyle’s idealized conceptions - despite the fact that the cast and Pyle were hired at about the same time. For example, William B. Mack, as M. de Valette, had broader shoulders than Pyle imagined. 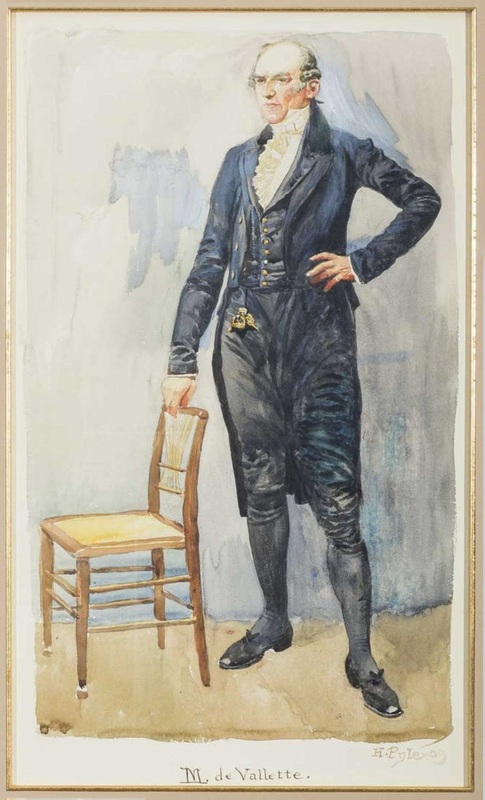 And Samuel Forrest was a much older-looking Raoul and wore looser-fitting trousers. But the costumes of Madeleine and Gilbert Steele - as worn by Mabel Taliaferro and Earle Browne - are almost dead on. Springtime bloomed at the Liberty Theatre last night not only on the stage but in the lobby. 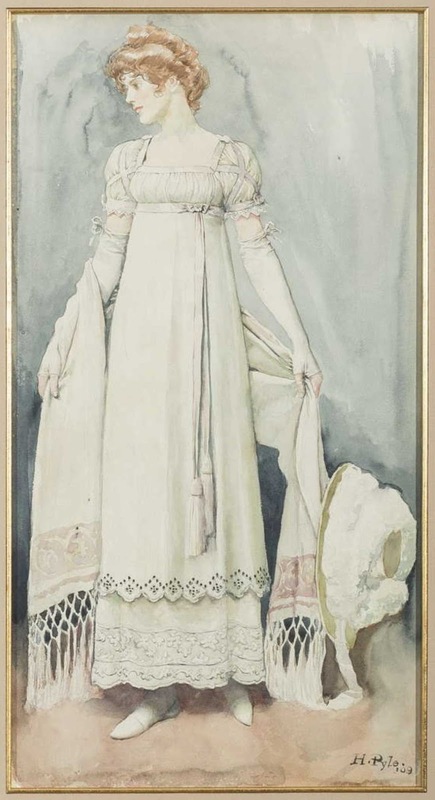 The audience entered the theatre through a bower of roses, carnations and chrysanthemums, and on the few blank spaces left on the walls hung the exquisite costume sketches which Howard Pyle had designed for his play. Oddly enough, though, none of the costumes on stage looked half as beautiful as these sketches did. He has succeeded in gaining some brilliant effects and has combined his picturesque colors into impressive groups which give a striking effect upon the stage. He has successfully aided in creating a suitable atmosphere for this romantic play. 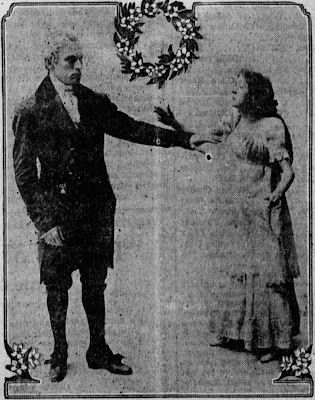 Although reasonably well-received, “Springtime” was not a huge success: it closed on Christmas in New York after only 79 performances and it more or less disappeared from the boards in 1910, after travelling to several different cities and appearing in “novelized” form (often illustrated with photos of the cast) in various periodicals. It was resurrected by at least one stock company in Rhode Island in 1913, and perhaps others here and there. And in 1914 it was made into a 5-reel silent movie, directed by Will S. Davis and starring an entirely new cast, but copies of or stills from the film have not yet been found, so it’s impossible to tell if the costumes followed Pyle’s designs. The watercolors, by the way, went home with Mabel Taliaferro (the “Nell” rebranding having been abandoned), where they were hung as a frieze in her dining-room, and then weathered her bitter divorce from Thompson (she accused him of “extreme and repeated cruelty”) two years after “Springtime”’s run. 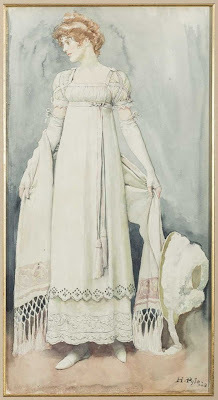 In 1916 she sold all fourteen paintings to Francis Patrick Garvan and his wife, Mabel Brady Garvan - owners of a half dozen other Pyle originals - and at least some of them remained in the family for the next one hundred years - until this weekend, that is, when five will be sold at Northeast Auctions in Portsmouth, New Hampshire. Who knows what happened to the other nine pictures? Maybe someone will tell me. 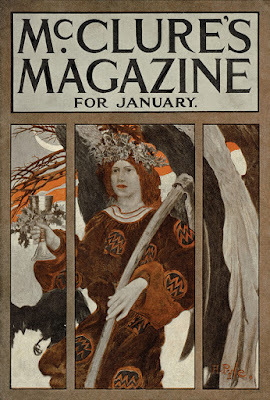 Howard Pyle’s cover design for the January 1900 issue of McClure’s Magazine is not necessarily his best work, nor is it very well known: it was used only once and the original art is missing. It looks like Pyle replaced the bowl with a chalice, for some reason. 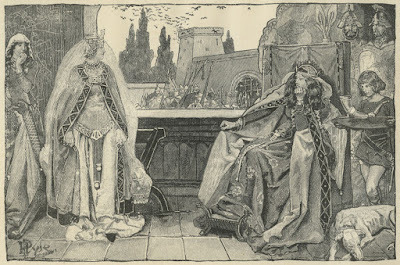 And it’s not clear how he executed the final picture: was it - like many of the illustrations made by his female students - in charcoal tinted with watercolor? Or was it in oil? 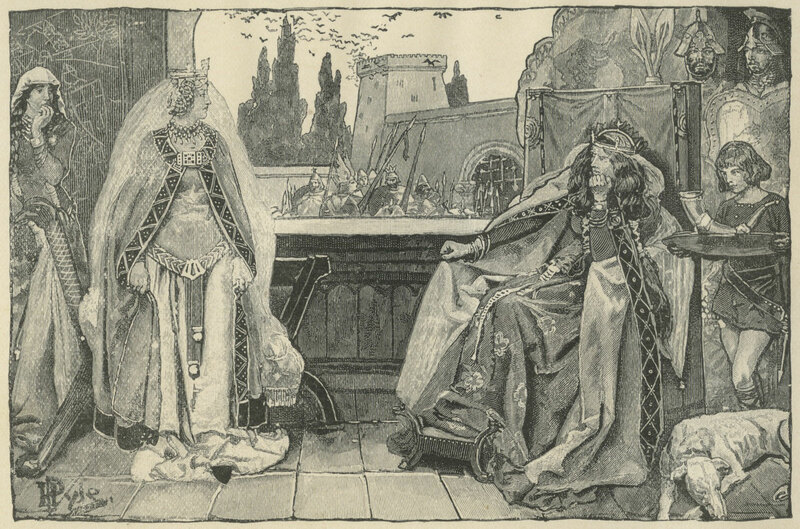 “...the illustration for ‘Margaret of Cortona’ is now in the possession of Mrs. Dan Bates, to whom I gave it some years ago,” wrote Howard Pyle from his villa in Italy on August 10, 1911. “Margaret of Cortona” was a poem (reprinted below) by Edith Wharton, published in Harper’s Monthly for November 1901, and - so far - this “collaboration” is the only known solid link between them. 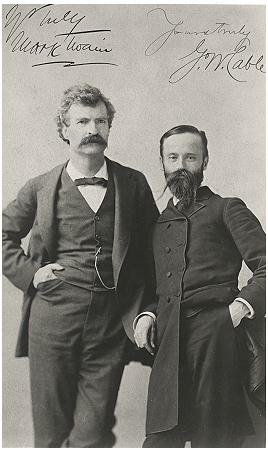 They did have several acquaintances in common, however, most notably Theodore Roosevelt and William Crary Brownell of Charles Scribner’s Sons, who edited Pyle’s The Garden Behind the Moon and several of Wharton’s works. 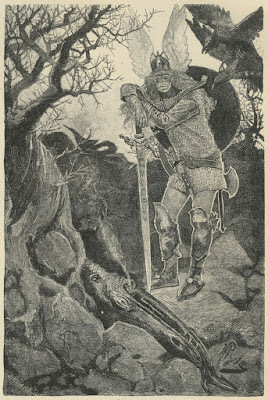 Wharton’s poem, by the way, (not Pyle’s illustration) was condemned by the Catholic press because of its depiction of the future Saint. Dominicana: A Magazine of Catholic Literature, for instance, said, “This poetic (?) blasphemy and historical slander is an evidence of extremely bad taste, because it offends against the canons of fact and truthful record.” Harper’s Monthly even went so far as to print an apology for publishing it. Since this you know: sit near and bear with me. Looked on the face of any other man. (The Head bowed thrice, as the whole town attests). And why not mine the hand to pluck it out? Why, so Christ deals with souls, you cry - what then? A lifeless blossom in the Book of Life. And dress my window”...and the blessing spreads. Is squandering - and the devil take the shards! And cleanse the echoes with his litanies? As from the antics of the market-place? Think you I would not leave this Christ for that? - I rave, you say? You start from me, Fra Paolo? Go, then; your going leaves me not alone. In Alleluias! Yet not one replies. And, for the Christ there—is He silent too? And that one silent - how I pity you! Blind wood and bone - ? I, whom He talks with, as the town attests? By right of salvage - and whose call should follow! 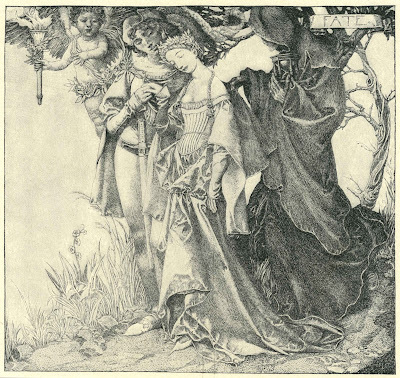 And drew her to Thee by the bands of love? Bends...bends again...down on your knees, Fra Paolo! 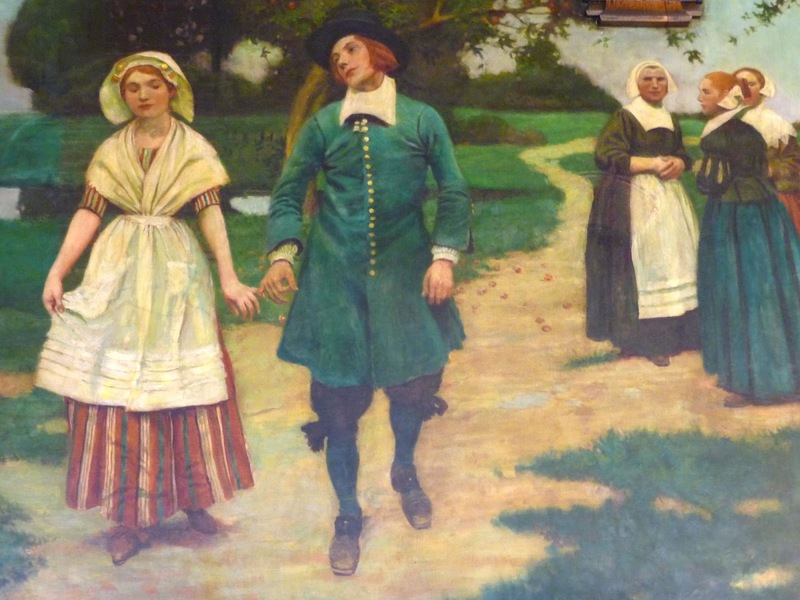 Howard Pyle’s 16.5 x 71" oil on canvas study for his mural “Life in an Old Dutch Town” (also known as “The First Settlement on Manhattan Island”) will be sold by Sloans & Kenyon Auctioneers and Appraisers in Bethesda, Maryland, this Sunday, September 20, 2015. Documentation on the murals is sorely lacking, but Pyle seems to have received the commission in February 1910; he then visited the courthouse in late March (no doubt to get a sense of the room and the lighting, and to take precise measurements of the spaces his murals would occupy), and he probably prepared and submitted studies for approval sometime that spring. His fee was reported to have been $15,000 for all three pictures, which would - ideally - be in place before the courthouse opened that fall. 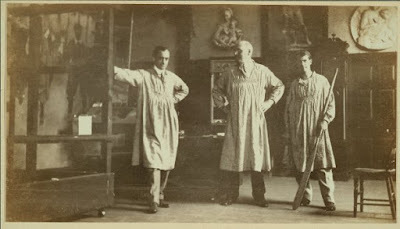 Because the murals were longer than Pyle’s own Wilmington studio was wide, he commandeered two of the student studios next door, removed the wall between them, and - assisted to a large degree by Frank Schoonover and Stanley Arthurs - set to work painting the first mural at the end of May 1910. 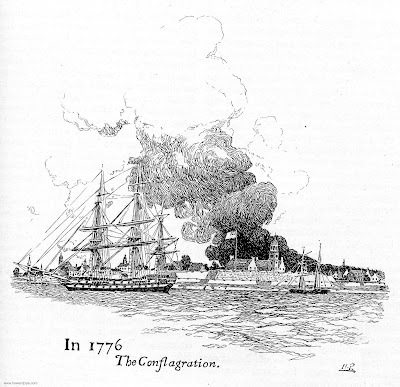 “Peter Stuyvesant and the English Fleet” took up all of June and “Hendryk Hudson and the Half-Moon”, begun the first week of July, was completed in mid-August. Then, before beginning “Life in an Old Dutch Town”, Pyle seems to have spent two weeks either fine-tuning his study, or maybe even redoing it from scratch: a 1977 article in The Jersey Journal made the so far uncorroborated claim that Pyle “originally started to paint the interior of a Dutch inn taproom, using as a model the Bergen Room of the swank Union League Club in Downtown Jersey City” - but then changed his mind. Either way, as Pyle said to Arthurs and Schoonover in a letter of August 30, 1910, “The last picture that you will work upon is progressing, and will be ready for you on Thursday or Friday next [i.e. September 1st or 2nd].” And, indeed, on the 2nd, they “squared” (or gridded out) the canvas - some 7 feet high and 33 feet wide - and began transferring the image in charcoal from (no doubt) a similarly “squared” photo of Pyle’s study. Painting proper began on Monday, September 5th. According to Schoonover’s daybook, the mural was finished - in a mere three weeks - on September 26th and it was packed for shipment on the 28th. 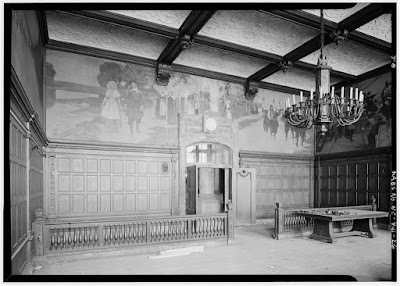 It’s likely that on the 26th, 27th, or 28th Pyle had Joseph Pearce of Philadelphia come down to photograph the mural (in two exposures because of its extreme breadth) in the studio, where the lighting would have been brighter and more even than in the dim and shadowy Freeholders’ Room. Pearce’s photos (below) come from Cortlandt Schoonover’s Frank Schoonover: Illustrator of the North American Frontier (Watson-Guptill, 1976): the missing middle portion was cropped in the book; the other blank areas were left unpainted to accommodate brackets and the doorway. 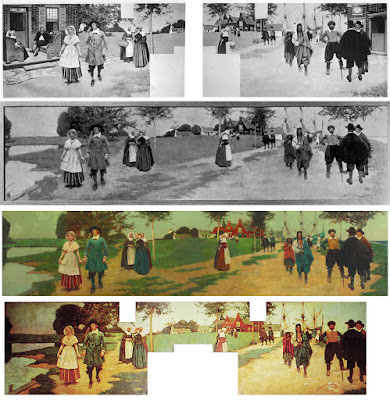 But after installing “Life in an Old Dutch Town” in Jersey City in early October 1910, Pyle saw a major flaw in his scheme: the brick buildings were acting as visual roadblocks, interrupting the flow from one mural to the next. He must have then reworked the study to solve the problem and then used it once more as a guide in reworking the mural. And so, what Pyle probably had anticipated to be a day or two of “touching up” turned into over a week of extensive, on-site repainting: replacing the seated folks and the buildings with water, sky, and a horizon line which more pleasingly linked the three murals together. (He also removed baskets from the woman to the right of the young couple and from the woman to the right of the center of the picture.) The mural was finished for good on October 13th or so - more than three weeks after the courthouse had officially opened. 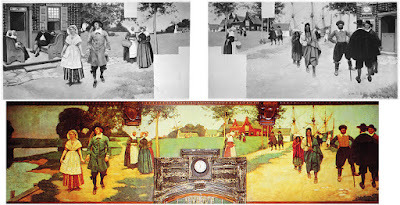 Pyle copyrighted the mural on October 15, 1910, but it isn’t clear if he submitted Pearce’s photo(s) - with the buildings - or a photo of the reworked study. In the Library of Congress’ Catalogue of Copyright Entries it is described (likely by Pyle himself) as “Dutch of New Amsterdam. Street scene, number of people, of time of 1650, coming and going” - which doesn’t really help. It’s possible, too, that the reworked study was photographed before Pyle finished the mural, because the trees on the far right of the study are missing in the mural. Be it chicken or egg, the study was photographed sometime within the next three months and reproduced in the catalogue of the 26th Annual Exhibition of the Architectural League of New York (January 29-February 18, 1911). Decades later, when the courthouse faced demolition, the above photo of the Freeholders’ Room was taken which shows extensive water damage in the center of “Life in an Old Dutch Town”. But the building was saved and the murals were restored in the late 1970s - as seen in this blurry, cropped color photo from the book Heroes in the Fight for Beauty: The Muralists of the Hudson County Court House by Cynthia H. Sanford (Jersey City Museum, 1986) - coupled for comparison with Pearce’s photos. Since then, the murals may have been restored or cleaned: a photo taken just a few years ago by Leon Yost, shows that “ghosts” of the painted-out brick wall and basket have re-emerged. 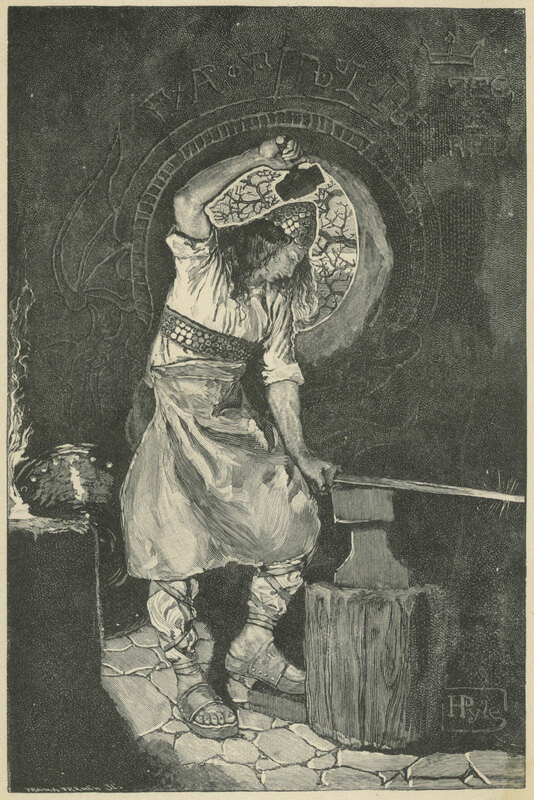 My grandparents were friends of Howard Pyle’s son “Goff” Pyle (presumably that means Godfrey) because they used to go bird hunting together in Delaware in the 1930s and 1940s. In the mid-1940s, my grandparents noticed a rolled-up painting beside the couch in Goff Pyle’s house, asked about it, and bought it. They brought it home, framed it, hung it over the fireplace. The study probably hadn’t been rolled up or reframed, after all, because the simple oak frame seen in the 1911 catalogue looks to be the same one in this 1949 photo. However, as the later photo shows, sometime after being photographed for the 1911 catalogue, about 1.5 inches were cropped from the bottom of the study. Pyle himself may have done this so that it more closely resembled the finished mural - but if that had been his object, why didn’t he paint out the trees on the right of the study as he had done on the mural? Confounding matters, the recent color photograph of the study (courtesy of Sloans & Kenyon) shows a few more differences from the 1911 catalogue photo (shown together, above): the trees on the far right, although present, are changed, and a small patch of sky between the young couple (also seen in both photos of the mural) has reappeared. Also, the absence of the windmill’s blades in the center of the picture - and the presence of the small triangle of dark blue water on the far right - may indicate that parts of the study were painted over by Pyle after the 1911 catalogue photo was taken, or by someone else after Pyle’s death. And, as seen in Mr. Yost’s photo of the mural, parts of the brick wall and one of the baskets have re-emerged in the study, perhaps because of fugitive pigments or too rigorous a cleaning. ...Schoonover and Arthurs are painting the decoration for him to considerable extent. Now this is permissible providing they carry the work only through the preliminary stages, and then the master, in seclusion with his whole soul, waves his magic wand and lifts the mass of rudimentary paint and masses into living, virile or personal expressions. But Pyle - chasing an almost impossible deadline - just didn’t have the time to do that. The study, however, does him great credit - and here’s hoping it finds a good home. That’s good advice, and I really ought to take it - at least when it comes to this blog. Somehow I’ve been neglectful for four months. 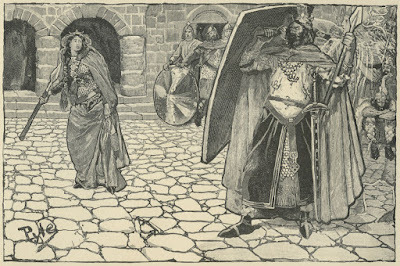 The fact is, I return to Howard Pyle every day, rain or shine, and in the past few months I’ve been so deep in my research that I haven’t had the chance or been in the mindset to write anything up. But I’ll come around again, soon. If anything, there’s too much to talk about - and I have trouble choosing. 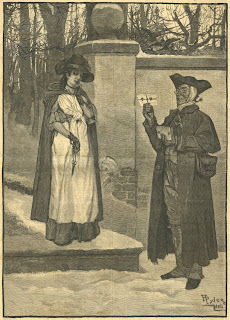 This Howard Pyle picture went untitled when it appeared in Harper’s Weekly for December 1, 1894, illustrating Arthur Conan Doyle’s The Parasite. 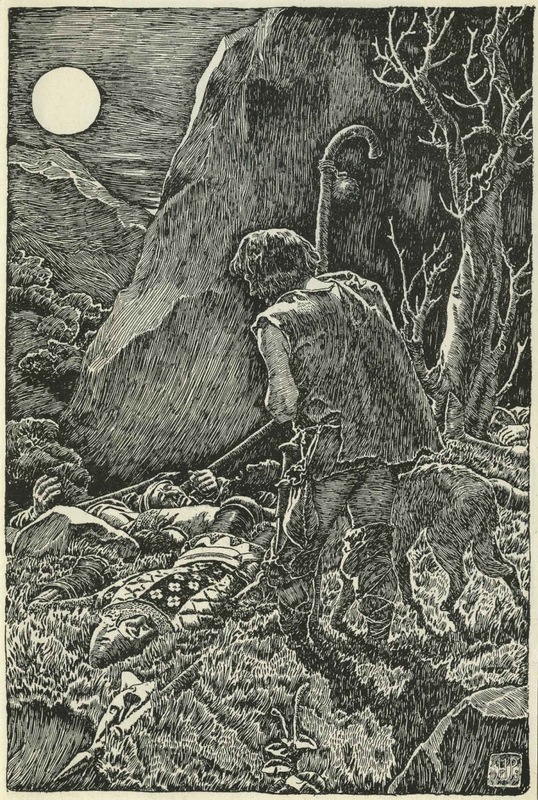 However, in the book version (published in mid-December 1894, after the four-part serialization) it was called “‘Struck me with both fists’” - and indeed it shows the spellbound hero of the novella, Austin Gillroy, beating the stuffing out of his friend Charles Sadler. When the magazine showed up on newsstands - about a week before the issue date - Dr. Doyle easily could have picked up a copy himself: he was, then, at the tail end of a whirlwind lecture tour in the United States (plus a brief stop in Canada) - a trip which is thoroughly documented in Christopher Redmond’s Welcome to America, Mr. Sherlock Holmes. But I can only speculate where Doyle was when he first saw Pyle’s picture: Schenectady, Niagara Falls, Toronto, Buffalo? Or while he was enjoying Thanksgiving with Rudyard Kipling in Brattleboro, Vermont? Or maybe when he was in Morristown or Paterson, New Jersey? Or maybe he never saw it at all - unless Harper & Brothers sent him their edition of The Parasite with Pyle’s four illustrations. I wonder if they did - and what he thought. As I mentioned in my previous post, no correspondence surrounding this picture - or anything regarding Pyle’s involvement with The Parasite - has been located. I still hope something will turn up. 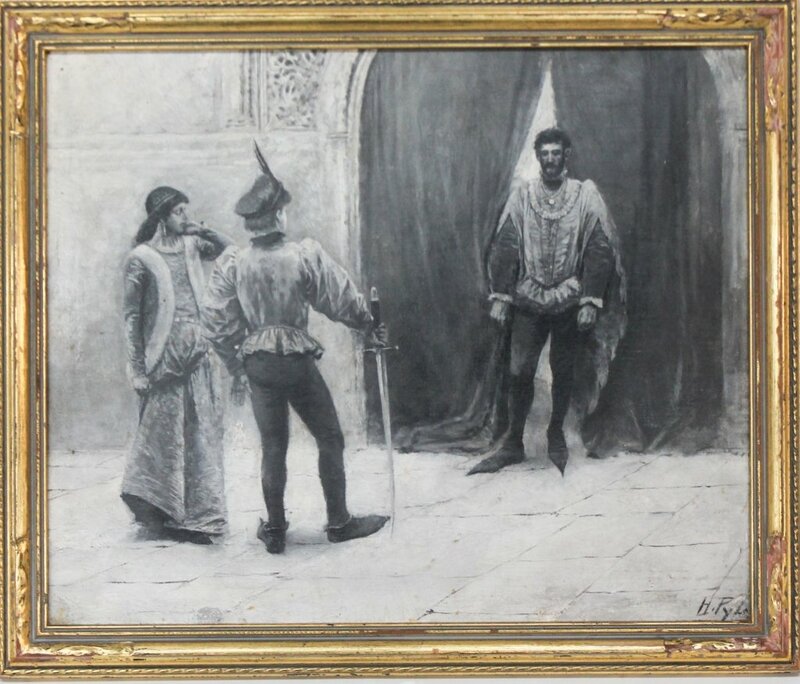 The original painting, too, is missing, though I assume Pyle painted it in black and white oil. 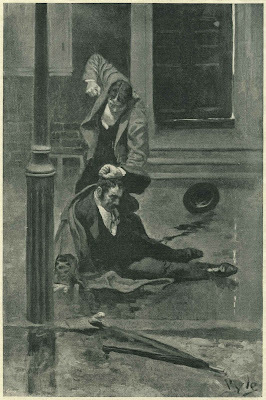 Again, it hints at what he could have brought to illustrations of the Sherlock Holmes stories, if only Harper’s Weekly had asked Pyle to make them - instead of the lackluster William Henry Hyde. Oh well. ...To-night is the university ball, and I must go. God knows I never felt less in the humor for festivity, but I must not have it said that I am unfit to appear in public. If I am seen there, and have speech with some of the elders of the university it will go a long way toward showing them that it would be unjust to take my chair away from me. May 4. Why did I break off in this way last night? I never went down stairs, after all - at least, I have no recollection of doing so. But, on the other hand, I cannot remember going to bed. One of my hands is greatly swollen this morning, and yet I have no remembrance of injuring it yesterday. Otherwise, I am feeling all the better for last night's festivity. But I cannot understand how it is that I did not meet Charles Sadler when I so fully intended to do so. Is it possible - My God, it is only too probable! Has she been leading me some devil’s dance again? I will go down to Sadler and ask him. “Why, Sadler, what has happened?” I cried, but my heart turned cold as I said it. “Do you mean - ” I cried. A Forgotten Tale by Arthur Conan Doyle! It was a poem, not a tale per se, and it has no Sherlockian content. Evidently, Dr. Doyle (as he was often referred to, then) wrote it not long before he visited the United States for the first time, in 1894. 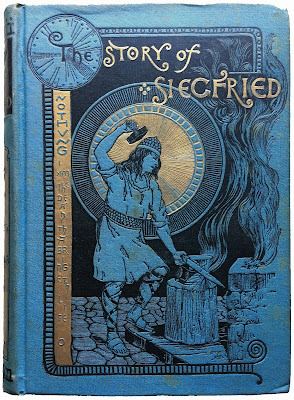 In fact, the manuscript of “A Forgotten Tale” seems to have sailed from England just a few weeks - or even days - before the doctor himself did: Scribner’s Magazine accepted it on September 27, 1894, and Doyle arrived in New York on October 2nd. As the poem was scheduled to appear in the January 1895 issue (which would be on the newsstands by mid-December), Scribner’s must have commissioned Howard Pyle to illustrate it almost immediately. I assume Edward L. Burlingame, editor of Scribner’s Magazine, communicated by letter or in person with Doyle about the poem - and possibly its illustrations. 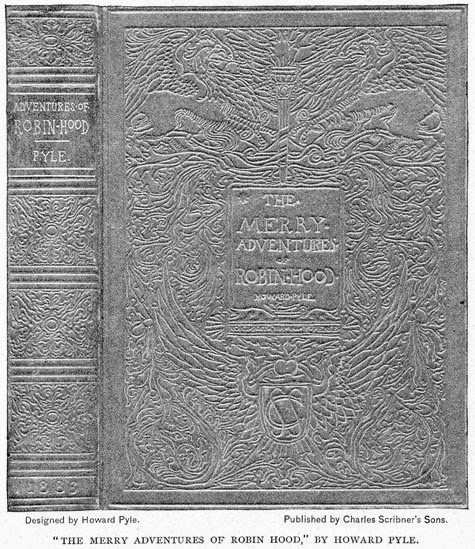 He may even have put Doyle in touch with Pyle, seeing as he had done just that with Rudyard Kipling regarding Pyle’s illustrations for “McAndrews’ Hymn” [sic] - soon to be printed in the December 1894 Scribner’s. 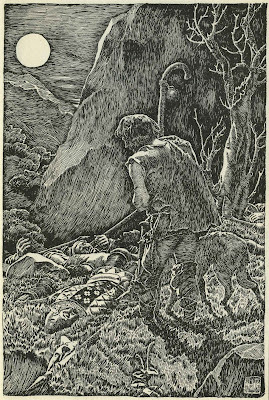 Then again, Kipling had asked outright “if you could kindly place me in communication with your artist as it is possible that he might see his way to using some of my suggestions.” But Doyle may not have cared as much, or at all, about the pictures for “A Forgotten Tale”. And, unfortunately, there’s no paper trail to answer that question. I hunted extensively through the Scribner Archives at Princeton and found nothing. Equally frustrating is that, when Doyle arrived, Pyle may very well have been in the midst of - or had recently finished - illustrating Doyle’s “The Parasite” for Harper’s Weekly, which was to appear in four installments (and in book form) while Doyle was in the United States! There, too, however, I have yet to find any correspondence between Doyle and Pyle or Harper & Brothers concerning the project. What’s also maddening is that, during his travels, Doyle met “Howells, Cable, Eugene Field, Garland, Riley” - all of whom Pyle had met, and some of whom he knew very well - and was feted again and again by folks in Pyle’s social or professional circles. And, lo and behold, Doyle and Pyle were even in Philadelphia on the same day! Saturday, November 10, 1894, found Pyle lecturing at the Drexel Institute that afternoon and Doyle lecturing that evening - but, again, who knows if they encountered each other, or if Pyle attended the Doyle event? And later, after Doyle spent Thanksgiving with Kipling in Vermont, he wrote to his mother, “Have you read his poem, McAndrews Hymn, in Scribner’s Xmas number. It’s grand!” But God forbid he should say anything about Pyle’s illustrations. Pyle, meanwhile, must have written down something about Doyle’s writings, but so far nothing has surfaced. I’ll keep looking. 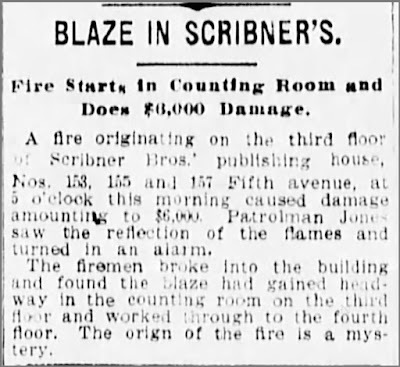 If Scribner’s Magazine accepted “A Forgotten Tale” on September 27, 1894, they probably didn’t get Pyle on board for upwards of a week or more. 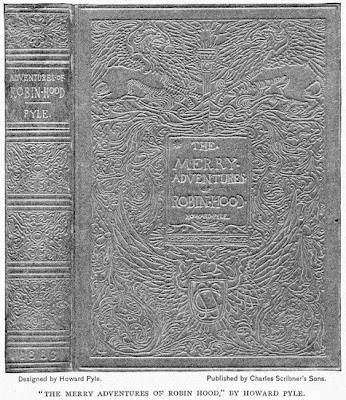 And as the printed magazine would need to be out in mid-December (and factoring in time before that to prepare photo-engraved plates of the illustrations), it’s safe to say that Pyle made his drawings sometime between mid-October and late November 1894 - all the while Doyle was travelling across the United States. I have to admit that I’ve never been overly fond of Pyle’s “A Forgotten Tale” pictures. The first one feels too Daniel Vierge-like: but Pyle may have deliberately tried to inject some “Spanish” flavor into it, since the poem is set in Mediaeval Spain. And the second drawing is somewhat hampered by the backlighting. 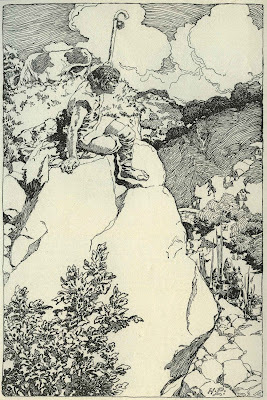 Then again, Pyle’s pen-work was in a sort of transitional phase, and he may have done these in a hurry: he was his usual busy self, writing and illustrating, and he had also just started teaching. His original pen-and-inks haven’t turned up, by the way, nor have his oil paintings for “The Parasite”. Somehow I’m not surprised. Anyway, after two exhausting months, Doyle sailed off on December 8, 1894. I assume Scribner’s Magazine for January 1895 was still in production at the time, but surely Doyle saw a copy of the finished product (either the American or British edition) not long after he returned home. Incidentally, Doyle’s departure date conflicted with the Authors’ Reception at the Juvenile Order of the Round Table in New York, to which he had been invited. And who was also invited and - reportedly - attended? 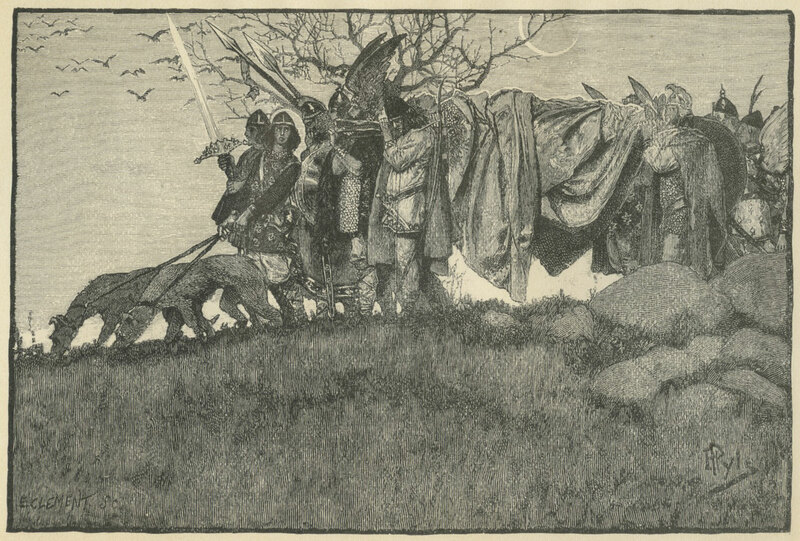 Howard Pyle. Of course. In the end, since Doyle didn’t return to the States until 1914 and since Pyle didn’t go to Europe until 1910-11 - and stayed almost entirely in Italy (where Doyle wasn’t) - they never met again, if they ever met in the first place. However, the Sherlockian in me takes some solace in the fact that while a sickly Pyle was recuperating in a Rome hotel room in December 1910, his secretary noted how he “was soon absorbed in the Strand Magazine” - the Christmas issue of which featured “The Adventure of the Devil’s Foot” by Arthur Conan Doyle. There still remains in one of the valleys of the Cantabrian mountains in northern Spain a small hill called “Colla de los Inglesos.” It marks the spot where three hundred bowmen of the Black Prince’s army were surrounded by several thousand Spanish cavalry, and after a long and gallant resistance, were entirely destroyed. 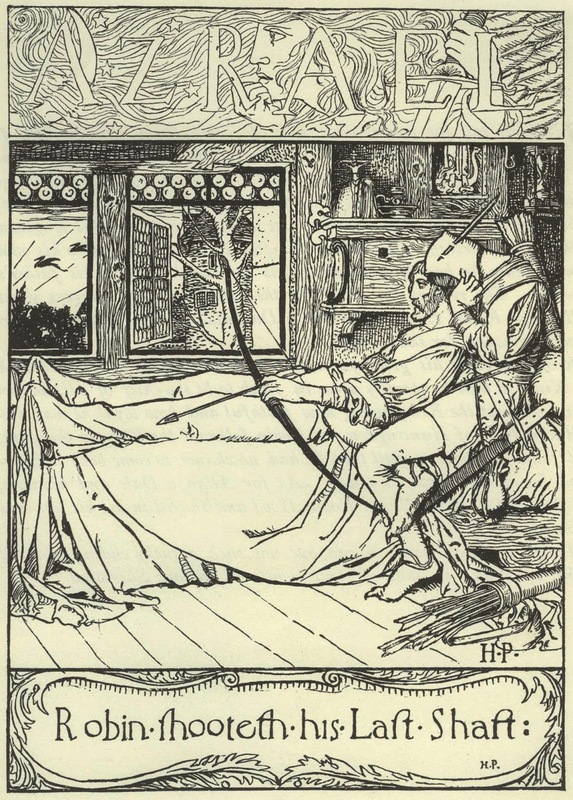 Mrs. Clemens is reading aloud to Mark & the children Howard Pyle’s beautiful new version of Robin Hood. Mark enjoys it hugely; they have come to the death of Robin & will soon be at the end. 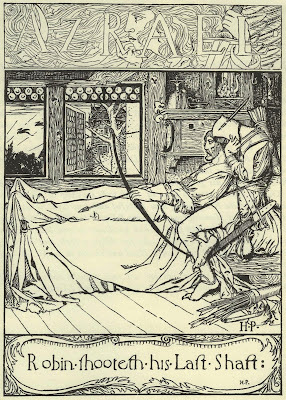 The Clemens children were Susy, 11, Clara, 9, Jean, 3, and the “beautiful new version” was The Merry Adventures of Robin Hood of Great Renown, in Nottinghamshire, published by Charles Scribner’s Sons just a few months earlier. The first edition was bound in full leather, embossed with Pyle’s own designs. The particular copy from which Mrs. Clemens read that winter evening might still be around: a copy owned by Clara (which also contains a bit of marginalia in handwriting resembling that of Clemens: on page 145 the word “goodliness” is crossed out and changed to “godliness”), which was subsequently presented to the actress Elsie Leslie, now belongs to the University of Texas at Austin. Saint-Gaudens seems to have felt much the same way about Pyle, and for several years the two had intended to exchange works. Finally, at the end of 1901, the sculptor sent a bronze cast of the “Head of Victory” - a “sketch” for the allegorical figure in his wonderful Sherman Monument. Now that it has been sent I feel horribly conscious that it is no adequate return for the beautiful “Victory” which I possess. The only thing that reconciles me to it is that it is sent with the most friendly good wishes in the world. Moreover, whatever its short-comings it is a sincere effort to express a thought. 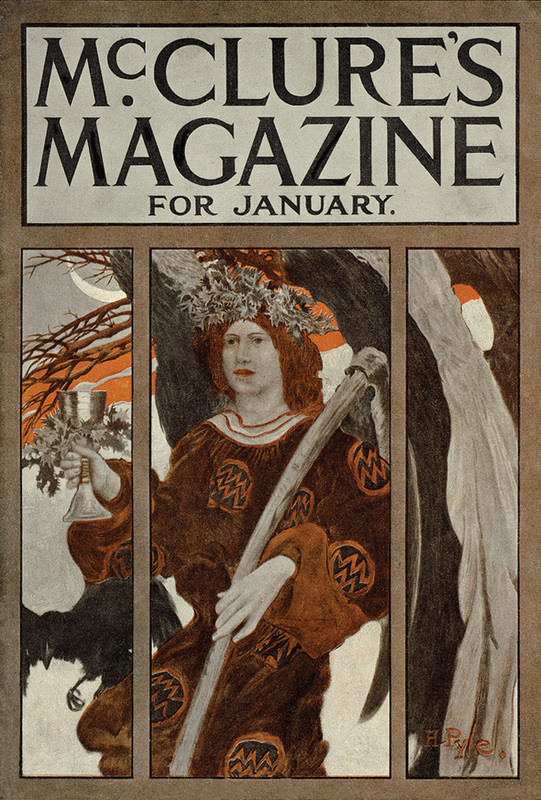 “A Dream of Young Summer” wasn’t a custom-made piece, but something Pyle already had on hand: it had been published the previous year, in Harper’s Monthly Magazine for June 1901, accompanied by Edith M. Thomas’s poem of the same name (which may have been written for the picture, instead of the other way around - but I’ll explain myself in a later post, I hope). 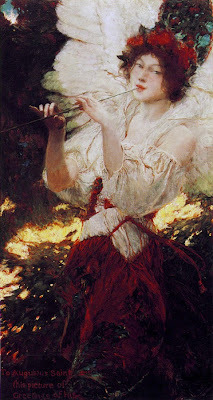 The painting - which, by the way, Pyle and inscribed “To Augustus Saint Gaudens this Picture of Young Summer with the Fraternal Greetings of His Brother in Art” - eventually wound up in the hands of Pyle’s grandson, who presented it to the Brandywine River Museum, where you can see it today. A great many people of Wilmington have doubtless seen the equestrian statue Sherman that stands in the Plaza at Fifth avenue in New York, for that work is not only local but national and it is, moreover, regarded by those who should know as being one of the five great equestrian statues of the world. Perhaps the finest part of the entire group is the figure of Victory and it is rather interesting to know that the study for the head, cast in bronze, is now in possession of an artist in Wilmington to whom it was given by Saint-Gaudens. Mr. Pyle has gone to Chicago today to lecture, etc. Enclosed you will find a photo of him. The cast is a head St. Gaudin’s [sic] gave him. He had a photo taken of it so as to use it in an illustrated lecture in Chicago and Milwaukee. He considers the piece of sculpture (original study for the figure of “Victory” on the Sherman Statue, NY) a masterpiece. The idea suggested was that twenty-four mugs or steins be decorated each year and sold at auction at the library dinner for the benefit of the library. Each member of the club at that time had his own private mug, decorated by himself, or for him by a professional friend, with his name burned in under the glaze at the Volkmar Pottery. These suggested the library mugs, and limiting the yearly output for the library sale was a plan to keep up prices. A mug, a pipe and a pleasant friend or two. Pray God send me the three. Drawn by Howard Pyle Dec. 30, 1905. It’s not clear, however, if Pyle did his decorating at the club itself or in Wilmington and then shipped the unfired mug to New York, just as Edwin Austin Abbey (and perhaps other out-of-town contributors) had done. Pyle may well have been in New York that day - either to lecture at the Art Students’ League, and/or to hammer out his plan to take over McClure’s Magazine’s art department - but I have yet to find corroborating evidence. There was a sharp contest in the bidding for the Abbey mug and also for a mug by Howard Pyle. Mr. George A. Hearn had sent in a bid of two hundred and fifty dollars for the Abbey mug. The two coveted pieces of delft, however, went into Mr. Saltus’s collection, the Abbey for four hundred and sixty-one dollars and the Pyle for two hundred and sixty dollars. This was real bidding, which was not always the case, as, for instance, in the following year a mug decorated by F. Luis Mora sold at the dinner-table for five hundred and five dollars. This was a sum sent over by Mr. Saltus, who was then in Nice, with the simple direction, “Buy me a mug.” He wished to place that sum in the library and he wished to do it in his own way. As it was known that he always wished his undivided contribution to be expended for one mug, it was the custom to begin the sale by offering the first choice, and when these large sums had to be expended on one mug there was an amusing competition of irresponsible bids, by such of us as were in the secret, until the desired sum was reached. A number of the mugs J. Sanford Saltus purchased were given back to the club, but this one fell through the cracks and its present whereabouts are a mystery. Let’s just hope it didn’t fall on the floor. 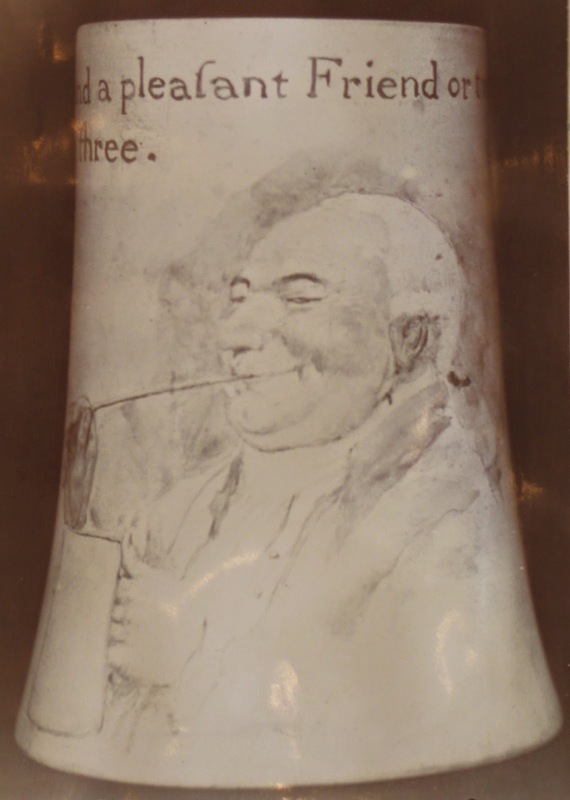 The photo above - from the Salmagundi Club’s mug record book - is the only one that I’ve seen. The first number of your story was startlingly true to nature, the succeeding numbers are charmingly idyllic. 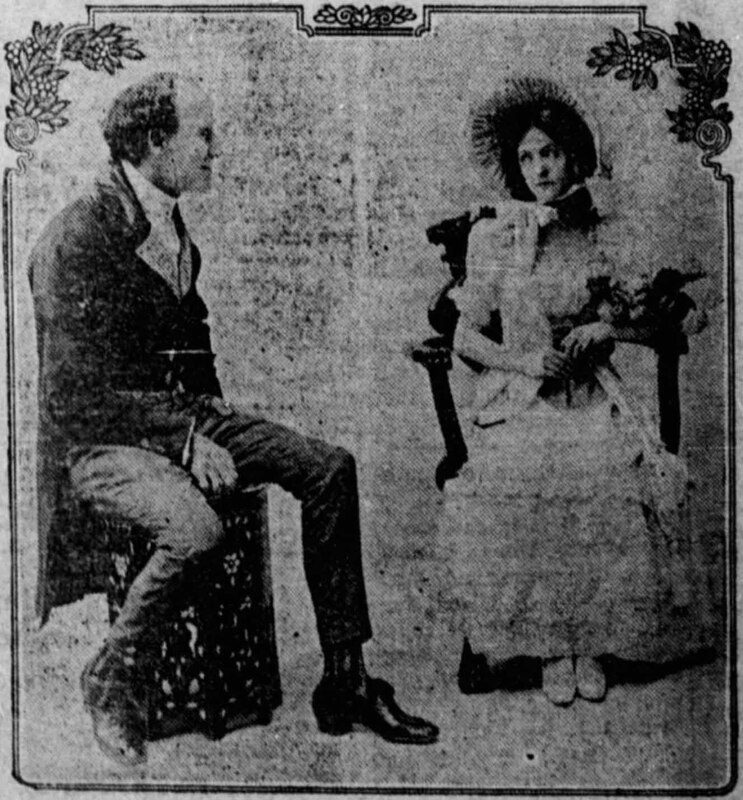 “Your Shaker story” was “The Day of Their Wedding” which appeared in seven weekly installments (or “numbers”) in Harper’s Bazar between October 5 and November 16, 1895. And “Harry Harper” was J. Henry Harper, a friend of both Howells and Pyle, and a member of the publishing firm. Pyle had, in fact, expressed a similar sentiment in a letter of February 26 that same year: “I do not of course know what are your present rewards of popularity but I feel very sure that you are writing for future readers.” Over the past century, however, Howells’ stock hasn’t performed quite as well as Pyle thought it would. 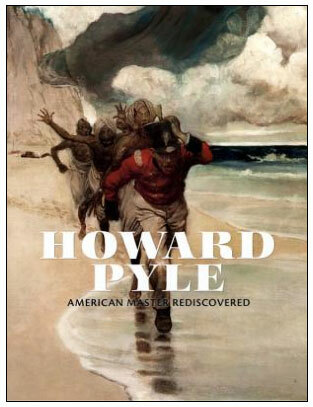 But now, future readers, why not read the novel yourselves and put Pyle’s assessment to the test?